Broken Arrow Trail - Sedona, AZ + Shootin' an AR-15 (pics + videos) HOORAY! We spent an overnight in Flagstaff this past weekend, which saw it's first snow today. I ran Broken Arrow in Sedona with my family early Monday morning and we pretty much had the place to ourselves! There were only 2 Pink Jeep tours and a lightly modded Jeep Liberty on the trail. Very scenic and very fun! That afternoon, my friend let me try out his new-to-him AR-15 semi-automatic rifle. The weather was in the 30s and I was freezing! But nonetheless, I took the opportunity to go through 3 ammo clips and unload on this burned-out car that was sitting in the bottom of a rock quarry. This was my first go at anything other than a 9mm or a shotgun, so pardon the inaccuracy in the videos! I must confess that I was envisioning myself lighting up an approaching "bad guy" car as I was guarding a check point in the middle east somewhere... HA HA HA HA. Totally dorky! Last edited by RR DIFF LOCK; 11-29-2006 at 08:10 PM. Wow. Nice pics. That last pic with the stairsteps....I was on that in 1989 I think. I put my left front tire on the rock you see at the top left of the stairs. That pic was then used for my carb to EFI conversion article. I don't remember the stairs being as bumpy as they look in that pic....I guess the dirt went away exposing more rock. Looks like a lot of fun....Is that a very tough trail for someone new to game? ZUK- Looks like you had a blast as well. 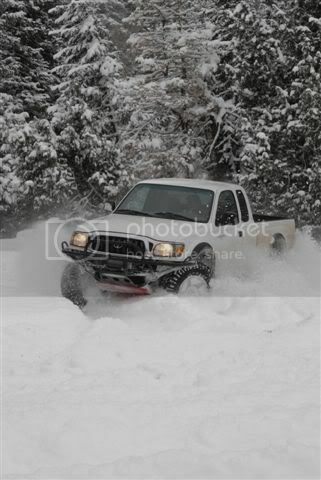 Theres nothing better than some fresh powder. What kind of bumper guard do you have? Ahh man where was my invite . Looks like you had fun. I love Broken Arrow. There are a couple other trails I want to hit up in Sedona. We have to put together a Yotech AZ trip. Oh man, Scott! You guys are KILLING ME! Great pics, as always. I'm really hoping that after this next baby is born, I can take a little time and head over that way. Maybe in January or Feb. Anyway, great pics! I did that trail back in the mid 90's with my Pathfinder...fun trail and very scenic. Those steps were fun...basically you slide all the way down. Nice rig ZUK! That's a sweet lookin' Tacoma! Yeah, Broken Arrow is one of my favorites thus far! Thanks RR DIFF LOCK.....I used to have Netzero dial-up...now I have Qwest DSL and LOVE IT!! ...........So post them pics right up there That seems to be a very nice camera you have there also. And a good looking Runner Also! 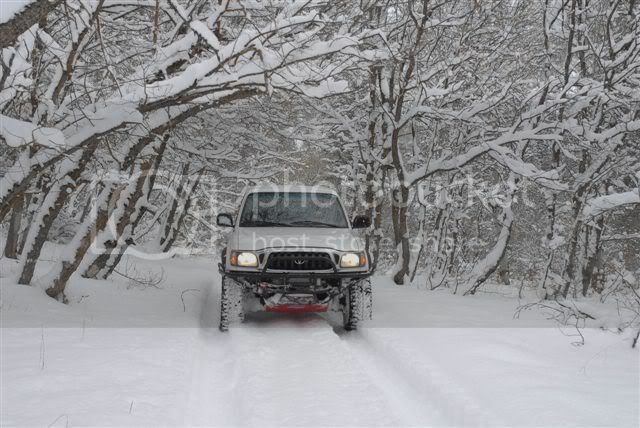 Elkaholic---I have an Allpro bumper and a Budbuilt skid that goes all the way past the low spot on the transfercase. Love them both. The snow varied in depth from 12 to 18 inches deep. It was a blast. Last edited by ZUK; 11-30-2006 at 07:49 PM. FYI, the camera is an Olympus Stylus 410 Digital and you have the ability to choose your resolution for each and every shot. It takes both video clips (short) and pictures. Works great - long battery life - tons of features - and easy to download to the computer. Sweet pics and rigs..thanks for sharing. Can't wait for good snow on the Rim. Thanks for posting pics of your run, RR DIFF LOCK. 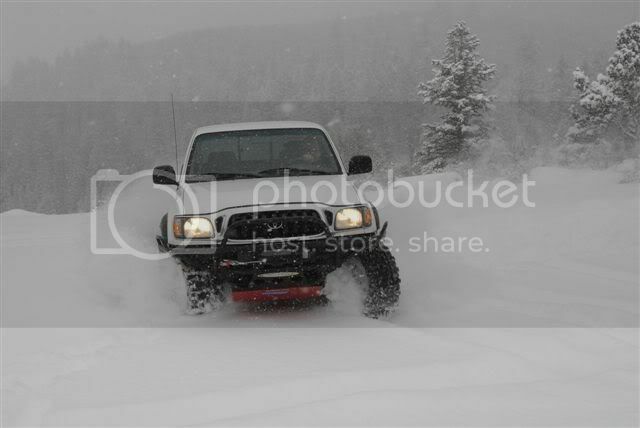 I have a stock 4Runner and enjoy seeing stock Runners like mine in action on this forum from time to time, instead of my wi˟˟˟˟lly dreaming while viewing the frequent pics of the $$$ modded rigs doing their thing up dry waterfalls or climbing hogbacks or standing with one foot on a boulder and such. A moderate trail with super scenery, evident from the background of many of your shots, can be great fun too. Please post more of your runs. Thanks again. Nice pics and now you've got me interested. I have to drive out to Phoenix and will have a free Saturday to explore. I was looking at the Superstitions but Sedona may not be too far to run this trail. Do you have any pointers to maps and trail descriptions or GPS waypoints? Last edited by Teotwaki; 12-02-2006 at 09:35 AM. nice pictures and very clean runner! i went to sedona for the first time about 10 years ago and i recognize that stair step section because i rode my bike down it, back then i thought i was raw for doing it haha. i also remember the pink jeeps! thanks for sharing the pics. Quick Reply: Broken Arrow Trail - Sedona, AZ + Shootin' an AR-15 (pics + videos) HOORAY!